GFVGA Keeping an Eye on D.C. 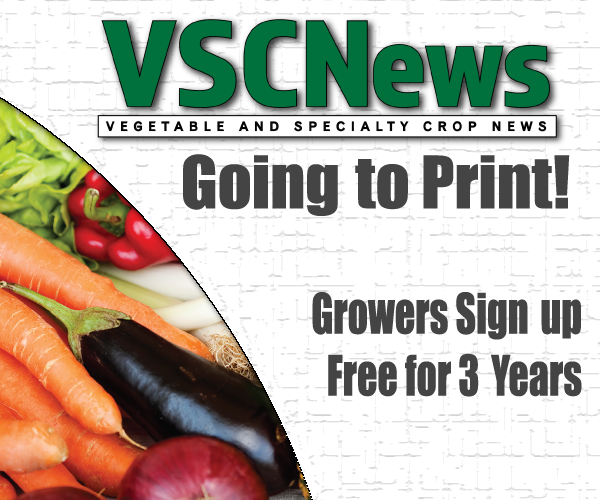 This year, the Georgia Fruit and Vegetable Growers Association (GFVGA) will be focusing on crucial legislation in Washington, D.C. Charles Hall, GFVGA executive director, says the two pieces of legislation the association will be focusing on the most are the U.S.-Mexico-Canada Agreement (USMCA) and disaster relief. Hall says he is worried about the USMCA and is going to spend a lot of time this year to get some answers about that legislation. “We (the GFVGA) are very concerned with about how that (the USMCA) is going to wind up, and if we will be able to get any additional assistance on that legislation,” he says. When the USMCA was released, it left southeastern growers with some unanswered questions. Several growers are struggling to keep up with hefty competition from Mexico and the ever-increasing importation of their products in southeastern market windows. Hall and others were hoping there would be language in the USMCA that would rectify that situation, but there was not. Secondly, Hall will be focusing a lot on federal disaster relief for Georgia vegetable and specialty crop growers who lost millions of dollars in Hurricane Michael in October 2018. “That legislation is processing now,” Hall explains. Hall adds that the GFVGA will also be keeping an eye on immigration legislation and any regulatory changes to the H-2A program that growers need.